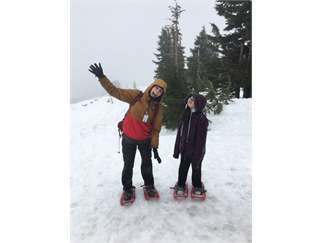 Don't miss Portland Audubon's Winter Break camp! Whether campers are snowshoeing on Mt. Hood and staying overnight at our new Marmot Cabin, learning the art of candle-making, visiting a wolf sanctuary, or making nature inspired art, our educators are dedicated to helping every camper build an authentic and meaningful relationship with the natural world, all while playing games, making friends and exploring!